Of Mind And Matter is available now!! !The band celebrated the release with a fantastic show to a packed crowd at The 7th Street Entry. 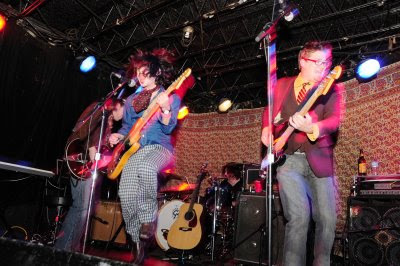 The band was enhanced with a guitarist/keyboard player and two female back-up vocalist to help recreate the albums sound. Little Man performed the entire album from start to finish. This picture was taken by Darin Back. Click here to see PHOTOS by Alexa Jones. 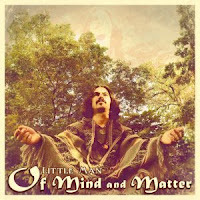 Little Man's forth full length album Of Mind And Matter is a strong companion to 2007's acclaimed Soulful Automatic. While still a good mix of acoustic and rock songs this album has more lush layered vocals, guitars, organ and strings that create a dynamic landscape. Produced by Ed Tinley, it was recorded in an old hunting lodge and a little house in Chicago. Read an article from the Minneapolis Star Tribune. Of Mind And Matter is a digital release. The amaizing cover photo by Emily Utne can be yours. You'll recieve by mail the special edition cover art card that contains the code to download 12 songs, 2 documentry videos, pictures, lyrics and liner notes. LISTEN to some of the tracks. Order yours HERE now! !